I know that I never drink enough, we are supposed to drink between eight and ten glasses a day to keep us hydrated. But drinking this many glasses a day is easier said than done especially for someone who loves a cup of tea. This New Years I made drinking more water one of my resolutions and I am determined to stick to it! Who's with me? Drinking water has so many great health benefits, but let's be honest water can be boring. I know that after about the third glass of water I am ready to reach for the kettle for a nice cup of tea. But there are so many great ways that can make drinking eight glasses of water more interesting, my favourite has to be having a hot lemon drink first thing in the morning. It wakes you up, it's refreshing and it's a great way to kick start your metabolism. If you'd like to find out ways to drink more water then keep reading! 1. Infusing your water with fruit, vegetables or herbs can make all the difference. It's so refreshing and I think it's far more appealing than just water. It always a great idea to prepare your infused water in advance, keeping a jug in your fridge will make it easier to refill your water bottle or glass. 2. Another way to help increase your water in take is to drink unsweetened herbal or fruit teas. I love Heath and Heather Apple and Cinnamon Tea from Holland and Barrett - these are so refreshing and great for your well being. 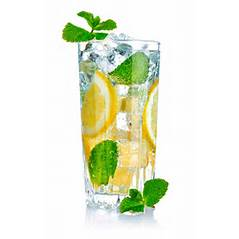 You could even try carbonated water but if you prefer flavoured just make sure that there is no added sugar or sweeteners. 3. I have found it so much easier to monitor my water intake with a phone app because it enables me to set reminders to drink, I would be lost without this app telling me to drink. You could also set triggers into your lifestyle for sipping water, whether it be receiving a phone call, when your little one drinks or even watching television ads. 4. You'll be surprised at how much and how fast you drink when you use a straw. Its a great way for the little ones to drink more water too, Amelia loves a drink with a straw. 5. Always carry water with you and by having your own water supply on hand will make drinking water easier. It always great to have some readily available in your handbag, gym bag, in your car or even on your desk at work. It will soon become a habit. 6. I have found that drinking before, during and after meals helps increase my water intake and it even makes me feel fuller for longer. So there you have it ladies and gents 6 ways to help you drink more water, I hope that this helps you get to those eight to ten glasses a day. If you have other ideas please let me know. 8 comments on "6 Ways To Drink More Water"